During 1865–1867 Red Cloud, chief of the Oglala Teton Sioux, led a highly successful resistance to the federal government’s attempt to develop the Bozeman Trail as a route to the gold fields of Montana. 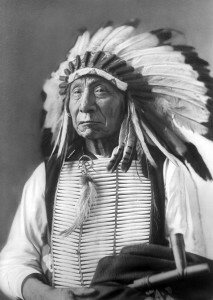 Thanks to Red Cloud’s efforts, the government concluded the Treaty of Fort Laramie (1868), which closed the trail and recognized various Indian rights. It was a rare triumph for Native Americans.